for $1,198,800 with 4 bedrooms and 2 full baths, 1 half bath. This 1,710 square foot home was built in 1970 on a lot size of 0.1501 Acre(s). 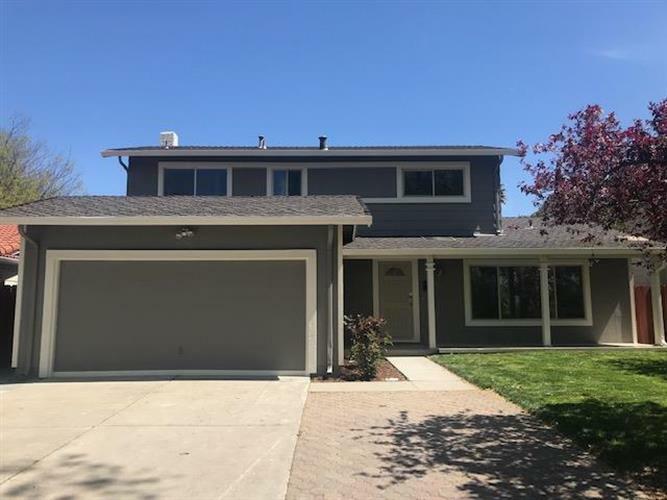 Come see this remodeled two story home in Berryessa neighborhood located across from Cataldi Park with no neighbor behind you. This home has 4b/2.5b with 1710 sq ft of living space sitting on a 6539 sq ft lot with formal entry, living, eat in kitchen & separate family room. A new kitchen features white shaker style wood cabinets, slab granite counters, SS appliances, built in mommy desk and huge pantry! Additional amenities include: some newer windows, new interior & exterior paint, recessed lights, new and refinished hardwood floors, updated tile surround wood burning fireplace, bathrooms fixtures, two new toilets, ceiling lights. The spacious backyard has a storage shed and ready for the owner to design their dream yard! Local schools are: Majestic Way Elementary (rated 8), Sierramont Middle (rated 7), Piedmont Hills High School (rated 9)-Buyer to verify. Conveniently located to parks, schools, shopping and freeway access & public transportation with Bart not too far away.